ValleyCon strives to bring the best and most relevant guests featured in sci-fi, fantasy, horror, comics, gaming and film & TV! These guests include Media Icons, Artists, Authors, Psychics and many more. Autographs are available at one of the industry's LOWEST price point ever. The guest will do panels, readings and demonstrations for your education and entertainment. Actor, director, screenwriter, novelist, acting professor, and comic book creator is best known for his role as Chekov in the original tv series Star Trek. Originally hired by Gene Roddenberry for his uncanny resemblance to Davy Jones of the Monkees, Walter Koeing made Chekov the best loved Russian of the Cold War. Koeing's ready wit and wide eyed innocence gave Pavel Chekov his charm, a marked contrast to the sinister Bester, the treacherous, psi-cop he portrays on Babylon 5. 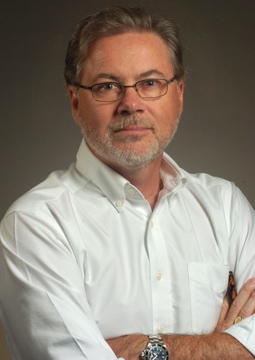 He is an accomplished author and playwrite and a favorite of fans for over thirty years. From Girls of Summer to The Boys In Autumn, Walter Koenig's stage career spans thirty years and includes stops in New York with A Midsummer Night's Dream and Six Characters In Search Of An Author. In Chicago he guested in Make A Million (as Johnny) opposite Jackie Coogan and on the road -- from Arizona to Philadelphia -- opposite Mark "Sarek" Lenard. He performed in the short plays Box and Cox and Actors. By himself, Koenig also starred as Larry the Liquidator in Other People's Money in Reno, Nevada. His Los Angeles productions include Steambath, The White House Murder Case, Night Must Fall, La Ronde, The Typist and the Tiger and The Deputy among almost two dozen others (Blood Wedding, The Collection, et al.) Directorial credits include Hotel Paradiso for Company of Angels, Becket for Theatre 40, America Hurrah! at Oxford Theater, Twelve Angry Men at the Rita Hayworth Theatre, Matrix at the Gascon Theatre Institute and Three By Ten at Actor's Alley. Walter has performed in the television movies Anthony and Cleopatra (as Pompey) opposite Timothy Dalton and Lynn Redgrave as well as the Mow's Goodbye Raggedy Anne and The Questor Tapes. He has also appeared on dozens of other television series and of course, as Chekov in the original Star Trek TV series. Mr. Koenig reprised the character of the Russian navigator in the first seven Star Trek films and in 1988 took the leading role in the video feature Moontrap. Walter has written for the television series Family, Powers of Mathew Starr, Class of '65, Land of the Lost and the Star Trek animated show. This actor-writer has seen publication with the non-fiction Chekov's Enterprise and the satiric fantasy novel Buck Alice and the Actor-Robot. He also created the three issues of the comic book story Raver published by Malibu Comics. 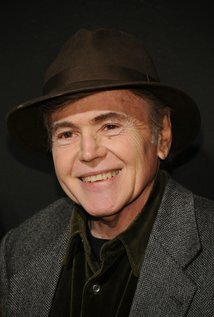 Walter Koenig has taught classes in acting and directing privately and at UCLA, The Sherwood Oaks Experimental Film College and at the California School of Professional Psychology. Most recently he has been an instructor at the Actors' Alley Repertory Company in Los Angeles. Over a period of five years Mark Lenard and Walter toured in the two character play The Boys In Autumn, the comedy-drama about the reunion of Tom Sawyer and Huck Finn forty years later. Koenig has had the recurring role of the quintessential bad guy Bester on the television series Babylon 5. He has been the Special Guest Star in twelve episodes and at the end of the third season Babylonian Productions applied for an Emmy nomination on his behalf. In an interactive state-of-the-art video game from Digital Pictures called Maximum Surge Walter Koenig stars as "Drexel", another bad guy. Walter has also completed work on the low budget feature film Drawing Down the Moon from Chaos Productions, and has star billing as a German psychologist in the martial arts picture Fist of Justice. A one-character piece that Mr. Koenig wrote and performed entitled You're Never Alone When You're A Shizophrenic was a finalist in the 1996 New York Film Festival awards. Koenig filmed a guest appearance as himself on the CBS situation comedy Almost Perfect, did sketch comedy on the Comedy Central series Viva Variety, and performed on an ESPN sports commercial that aired in 1998. The Viacom CD ROM Starfleet Academy, in which Walter reprised the character of Chekov continues to sell impressively. Most recently, Walter hosted a cult movie marathon for Comedy Central. His autobiography, Warped Factors - A Neurotic's Guide To The Universe was released through Taylor Publishing on April 1998. Most recently, Mr Koenig perfomed as the Shadow Guy in an episode of Diagnosis Murder and went to New York to perform in a new radio broadcast version of War of the Worlds in tribute to both H.G. Wells and Orson Welles. Special Thanks to John Tackett and DragonCon for use of their excellent biography of Walter. Author of the popular vampire books: I, Vampire, Vampire Hunter, The Vampire's Violin, and many more. The most prolific and celebrated artists in science fiction/fantasy/comics/promotional art. ValleyCon is thrilled to welcome two of the most prolific and celebrated artists in science fiction/fantasy/comics/promotional art.. you name it! From SQP description of their collection: The art team of Steve Fastner and Rich Larson have been creating incredible images of fantasy art in blazing color long before the advent of computers and digital sleight-of-hand. They're proudly "old-school", bringing to life amazing illustrations using nothing but a limitless imagination and an overworked airbrush! The Fastner & Larson Gallery is truly a fantasy fan's collection of "well-armed and scantily-clad naughty warrior maidens" dream come true! Steve and Rich's delightful and decadent take on all things "saucy" has long been a source of wry smiles and wicked thoughts! Rich Larson may be among the most wide-ranging comics and fantasy artists you've never heard of. He drew ghost stories (Charlton) and undergrounds (Kitchen Sink, Last Gasp) in the 70s; Marvel super-hero portfolios (SQP) and the female ninja Whisper (Capital, First) in the 80s; barbarian babe portfolios, Judge Dredd covers and his own creation -- Demon Baby -- in the 90s; and the webcast epic Edward the Less for the Sci-Fi Channel last year. He also storyboarded The Right Stuff, MST3K--The Movie, and Jerry Garcia's never-produced Sirens of Titan project. With painter Steve Fastner, he's done covers for Weird Western, Lady Rawhide, Bill the Galactic Hero; novelizations of the Hulk and Gen13, and Harvey Kurtzman's humor paperback, Nuts. Also card art for Star Wars Galaxy, Vampirella and Mars Attacks II; and album covers for Overkill, Intruder and Powermad. Fastner and Larson's ongoing series is the somewhat spicy, slightly scary Haunted House of Lingerie, and a new retrospective of their work, Fastner & Larson: Gallery (SQP/Modern Graphics) is available now! (Airbrush artist) writes: "I was born in 1954 in St. Paul, Minnesota. In the 1960s I developed a liking for comic books, monsters and sci-fi movies." "In 1974, I attended St. Paul Vocational Technical School for Commercial Art, where I took an evening airbrush class. Then I went to the Minneapolis College of Art and Design for one-and-a-half years." "I got a job in a small advertising agency doing layouts, retouching and keylining. I went freelance in 1980, specializing in airbrush art." "I discovered Minneapolis comic-book fandom in 1973 when I picked up a fanzine called Morpheus, with artwork by Rich Larson. I met Rich at a ComicCon, and eventually we teamed up on paintings for Sal Quartuccio Publications like Hot Stuff, Pin-Up Portfolios, Rich Larson's Haunted House of Lingerie and the Demon Baby comic miniseries." "We've also done paperback covers for Byron Preiss Visual Publications, trading cards for Topps, album and CD covers for various metal bands, posters, t-shirts, etc..."